Should I Board My Dog For the Holidays Even if I'll Be Home? Should I Board My Dog For the Holidays Even if I’ll Be Home? Do you hear that? It’s your doorbell ringing! The holiday season is officially underway and that means one thing — it’s time to celebrate! With family and friends coming over for the holidays, households are never busier than in November and December. But if you have a furry friend residing in your home, hosting can actually be not only difficult, but dangerous for your pup. While they may want to hug and kiss your furry friend, family members with allergies may have to forgo affections. In fact, they may not even be able to sit in the same room as your pup. If your dog is in the middle of his “sniff anything and everything” phase, a kitchen full of new foods and smells could entice him to explore more than he usually would. Not only can this lead to an overly excited dog, but it could cause an injury to him or a family member. Dogs with anxiety can get overwhelmed in a house full of new people. If your dog shakes, has an accident, or runs away when new people come over, he may not be able to handle a holiday gathering. With people, tables, chairs, and food making their way into your home, your door will likely be opening and closing all day. If your pup likes to explore the Great Outdoors, this poses a major safety risk to him, as he could easily get out while you’re preoccupied with other things. A pet parent’s number one goal is always to keep their pooch safe. If your dog likes to run around, the kitchen could be a very dangerous place for him during the holidays. With your oven and burners roaring all day and hot trays of food out on the table, your pup could easily burn his paws or snout. When it comes down to it, boarding is typically a safer option. 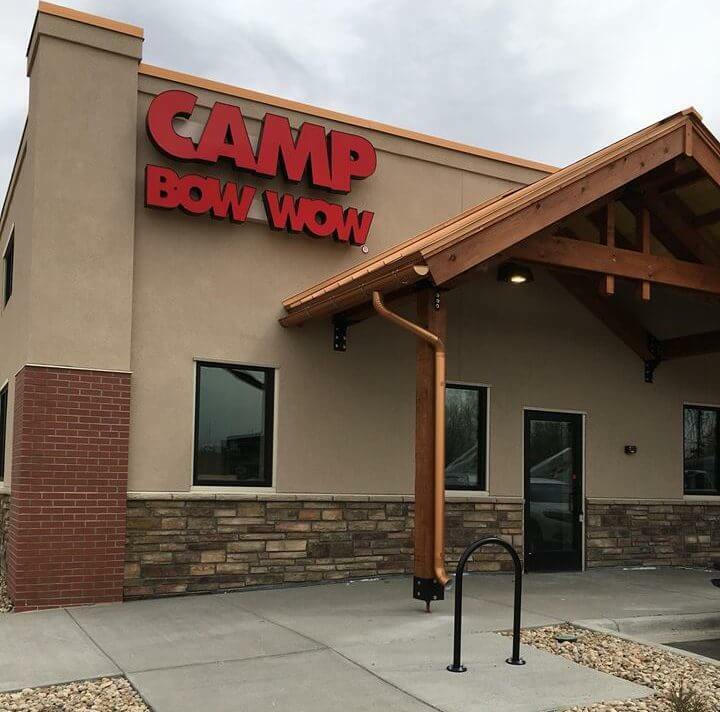 Not only does boarding your dog with Camp Bow Wow ensure their physical safety, but their mental health as well. With dogs to play, our Campers always leave with a smile on their snout!